I really enjoy the "What soap or cream did you use today" thread. I like to read about what Gents are using and why. I post often and share a pic of the soap along with the brush and razor I used. In reviewing my past photos one razor was making its appearance much more frequently than its brethren. 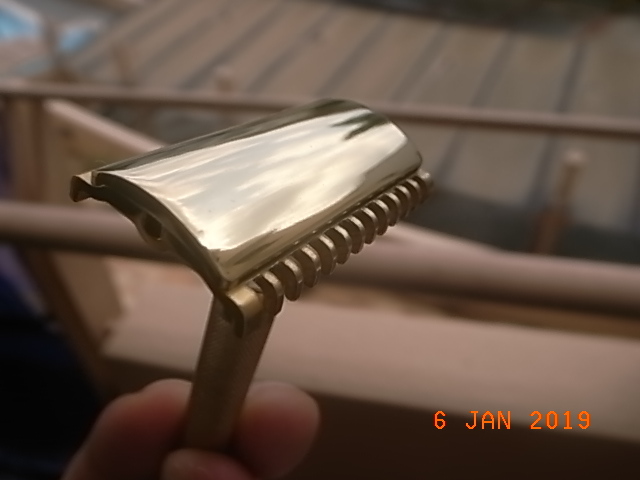 My certainly user grade Gillette New Long Comb. It's ugly. It's old. And apparently it's my favorite. I have many other razors to choose from but obviously my subconscious mind is picking this one. 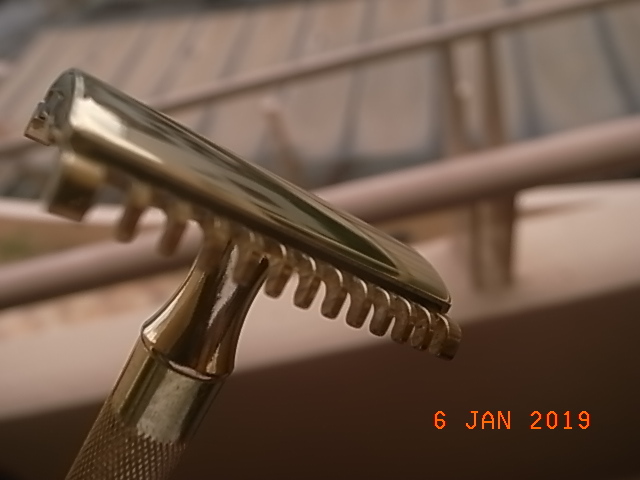 I don't find it aggressive like a certain Micromatic Open Comb I have but neither is it cut proof like the Razorock Mamba. I can feel the blade through the shave but it isn't harsh. And man, load it with a sharp blade and it'll pop hair. Perhaps it's time to freshen it with a replate but I dread that by doing so I change the performance I so obviously enjoy. Thanks for the post. It has prompted me to get out one of my News and use it. I haven't used one in many months. I recall at one time the short comb was my daily driver. 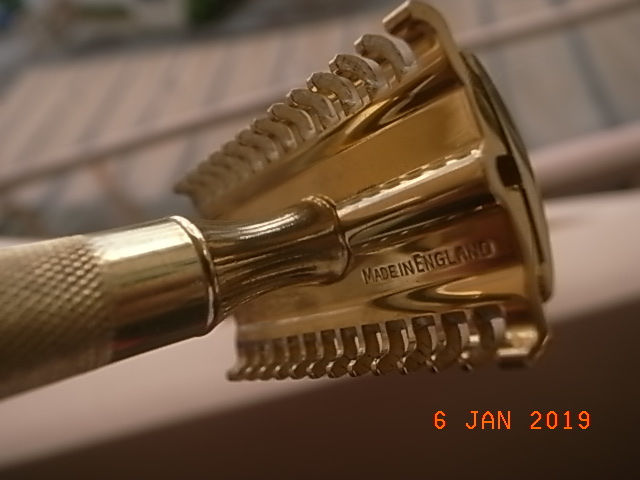 I got this Gillette NEW LC couple of months ago, and while it came in a shipper and was presented as unused, the looks of it were a bit grungy. I did a perfunctory clean and decided to live with it. Fast forward to a week or so ago when I got my charcoal goods level 2 in bright brass. Since then I've been researching ways on how to preserve the finish on it. Read about applying acrylic lacquer, renaissance wax etc. But before I did anything to it I wanted to experiment on a guinea pig....the Gillette NEW would be perfect, in case anything went wrong. Here are the steps I took to get the NEW to pop. 1. Mixed 4 cups of water with one tablespoon of baking soda and brought to a rolling boil. Dropped the disassembled NEW in it and boiled for 15 minutes. End result: nothing. 3. Hit the razor with scrubbing bubbs and brushed it down. 4. Soaked in hot water till the solution cooled. 5. Used Brasso and cotton pads to polish gently. Lots of elbow grease, slow patient, gentle applications. A lot of black stuff coated the cotton pads....wasn't sure where that came from. Went through at least 25-30 cotton pads. Next I used microfibre cloth to buff the surfaces. This revealed a whole new razor that I never expected to see. 6. Coated the parts with thin layers of renaissance wax...waited 10 minutes and then buffed vigorously with microfibre. Every bit of it is now gleaming. Years ago I tried a New LC & SC and just could not get on using either around my mouth & chin. Just too much blade exposure. I had no issue on my cheeks and neck for that matter, but shaving other areas I just had to be so damn careful that it just wasn't worth the hassle. Sold both. YMMV. 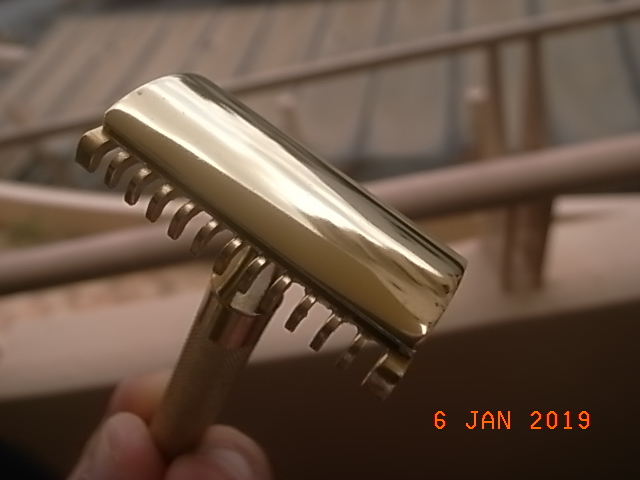 (02-08-2019, 02:52 PM)Tester28 Wrote: I got this Gillette NEW LC couple of months ago, and while it came in a shipper and was presented as unused, the looks of it were a bit grungy. I did a perfunctory clean and decided to live with it. Ok, so I'll trade Ya! That's a beautiful razor my man. Thanks....it was a very satisfying cleaning session...try it on yours, maybe. These are very special shavers....smooth, comfortable, efficient. 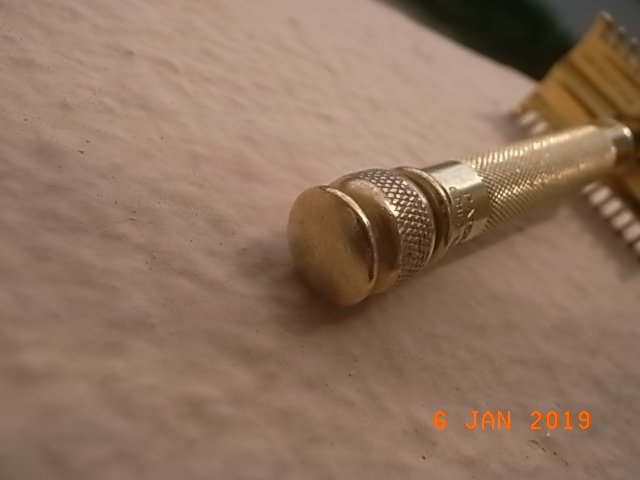 I tried chucking a Charcoal hammered brass handle on it but it wouldn't screw on tight. I used a New LC for the first time a couple days ago, with a Bob's RW handle and a vintage Gillette Platinum Plus blade. I could tell that I needed to be a little more cautious than usual, but it gave me an excellent shave. 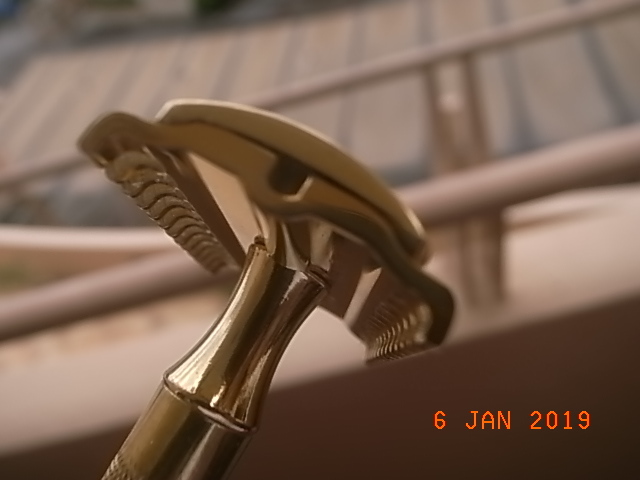 I used a Gillette New LC a lot a couple of years ago and then that gave way to a bunch of different razors coming into the rotation, both vintage and contemporary. The new additions certainly weren't due to ineffectiveness of the New LC. I always got great shaves with the New LC. Thanks for bringing this up, Lipripper660! 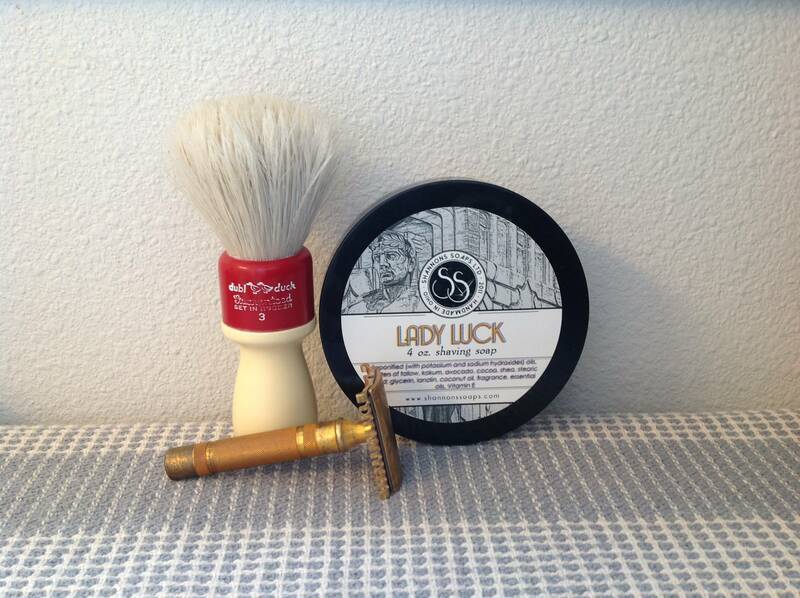 Maybe I should dig out the Gillette New LC again and take it for a spin! I have a razor just like yours. Someone told me it is a Gillette Bostonian, though I don't know if that is correct. 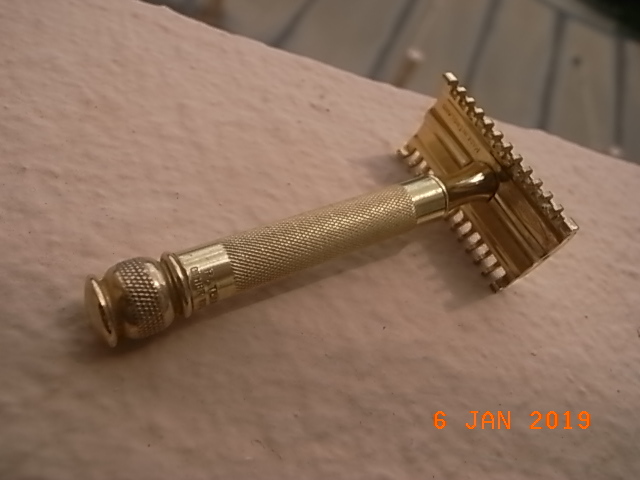 It's a great razor, my favorite Gillette vintage razor. (02-09-2019, 06:45 PM)Pete123 Wrote: I have a razor just like yours. Someone told me it is a Gillette Bostonian, though I don't know if that is correct. 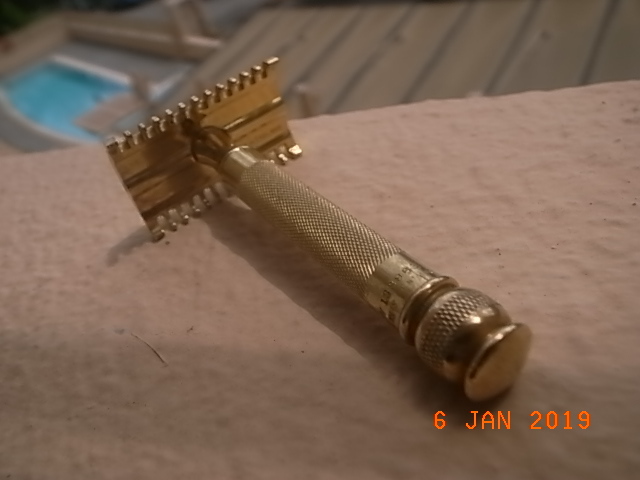 It's a great razor, my favorite Gillette vintage razor. No, Bostonian is a set not a razor.